Roundhouse Community Youth worker, Sally Chan. 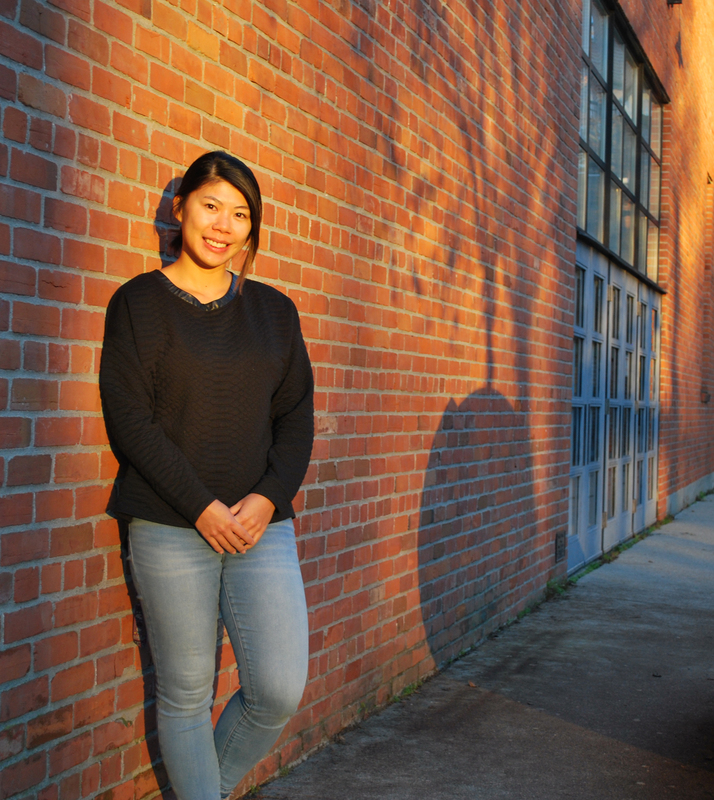 In Fall 2018 Sally Chan joined the Roundhouse team as our new Community Youth Worker and in just a few months has initiated a handful of youth programs and initiatives for the New Year. We took a moment to check in with Sally to see what drew her to this role, why it’s important to create safe and supportive space for youth, and her plans for youth at the Roundhouse. What drew you to become a community youth worker? As a pre-teen in a new immigrant family, I spent a lot of time at the community centre by my high school in East Vancouver. Expensive extra-curricular programs weren’t an option, so the centre became a safe space for my sister and I to spend time after school. Being a teen was complicated. Not only was I navigating the challenges of adolescence, but was also adapting to a Western lifestyle that intertwined with my existing cultural identity. At the centre, I connected with a youth worker who encouraged me to volunteer, from which working with community became second nature. My first jobs involved a variety of positions at the centre involving day camps, birthday parties, recreation, and special events. I still remember thinking that I hit the jackpot when I became a Vancouver Park Board employee; I had one of the best jobs in the world! I pursued my post-secondary education with the intent to create a career for myself that involves helping and empowering youth. Just like the youth worker that believed in and mentored me, I wanted to guide youth through their awkward, yet crucial, adolescent years. It’s a decision I’ve never questioned. How do you feel your experience has prepared you for the Roundhouse? My experience working with children and youth started at my local community centre in East Vancouver. Though I was passionate about and dedicated to the centre, I felt I needed to move away from my comfort zone. Working at other centres challenged me to consider how youth work differs from community to community, and taught me to be humble, open-minded, flexible, and respectful with a variety of youth and families. Since then, I have worked at four community centres in Vancouver, including one of the most vulnerable in the heart of Downtown Eastside; this was the most heartfelt and rewarding experience I have ever had. I have also worked with the Community Schools Team at the Vancouver School Board and volunteered at Covenant House and WISH Women’s Drop-In Centre. Fast forward to 2018, and I am extremely excited to apply my experience at the Roundhouse. Working collaboratively with the Youth Staff team, we’re thrilled to offer new programs and opportunities for youth starting in January 2019. What is the value of youth outreach at community centres? As cliché as it sounds, youth are our future! The more time and energy we invest in youth today, the better our collective future will be. Every youth deserves a place to learn, grow, and be. Community centres offer a safe space where youth from all walks of life can feel welcome and inspired. Working with neighbouring schools, families, and other youth service providers, community centres build a support network to encompass youth needs. Providing opportunities for development creates a foundation of connection and engagement for youth that leads to a healthy, positive, mindful, and resilient adulthood. Can you speak more about your approach in working with, and programming for, youth? Meaningful relationship building always comes first in my approach to youth work. Programs and events should be made for youth, by youth—involving them in the planning and implementation of programs and events results in valuable learning that extends beyond the centre. We hope to offer a diverse menu of recreational activities that act as vehicles to improve youth social and emotional well-being and community-engagement. To support youth in their transition into adulthood, they can gain valuable life skills such as courage, healthy risk-taking, resiliency, money and stress management, healthy relationship building, positive body image, and any other topics that they may be curious about. Providing education through experiential learning and recreation is a great way to prepare youth for the ‘real world’. Looking forward to the New Year, what are your top three priorities for youth in 2019? There’s a lot for youth to look forward to at the Roundhouse in the New Year. Stop by the Centre to pick up a copy of the Winter 2019 program guide, or check it out online, for more details on upcoming youth programs.